Even the toughest winter roads can be conquered with the Firestone Winterforce. This high performance studded tyre has been designed and built for the most extreme winter conditions. 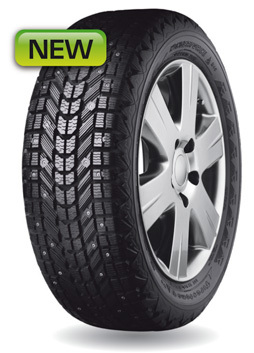 This is Firestone?s answer to the challenge of a Nordic winter. Giving drivers the confidence needed for safe, fun and reliable driving in all conditions.